, it was handed the account. The business had previously sat with Saatchi & Saatchi, which had done award-winning work for the company, including the successful Penny the Pirate work from 2015. During its short relationship with OPSM, Marcel produced a piece of work that tapped into the brand’s purpose and landed itself on the AdNews top 10 ads of the year in 2016 for its different approach. Luxottica VP of marketing Jee Moon previously told AdNews the campaign from Marcel aimed to transform OPSM’s proposition and align with an overhaul of the OPSM stores nation-wide. Luxottica declined to comment and VCCP could not be reached at the time of publishing. 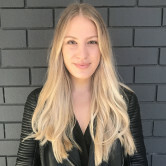 OPSM has moved its creative business from Marcel to VCCP as part of a global alignment of its creative roster from owner, Luxottica, AdNews understands. The pitch was understood to have completed several months ago. Marcel declined to repitch for the account. Luxottica is the world's largest glasses retail group and was acquired by French lens-maker Essilor in a US$24 billion deal earlier this year, which could have delayed the pitch finalising. Until now, Publicis Groupe was Luxottica's holding group of record and when Marcel formed in 2016, it was handed the account.